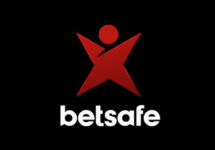 Betsafe – September Daily Boosts | Week 1! Get an awesome balance booster, every day in September! Good news for players who are looking for that extra added to their deposit. Betsafe has extended their “Daily Boosts” campaign into September. Everyone can look forward to tournaments with cash prizes, wager rewards, Bonus Spins on deposit or a generous deposit bonus. Wednesday, 5th September 2018: Lucky Spin – Enjoy 1 Bonus Spin on a selected slot, no deposit needed. The TOP3 scoring the highest wins from the spin will be rewarded with cash prizes: 1st – £/€ 200 | 2nd – £/€ 100 | 3rd – £/€ 50, credited with no wagering requirement by 15:00 CET on Thursday. Thursday, 6th September 2018: Throwback Thursdays – Deposit minimum £/€ 20 and wager minimum £/€ 50 on a selected slot to instantly receive 25 Bonus Spins. Check the promotion page for the designated game. WR is 35x FS winnings within 3 days. Friday, 7th September 2018: Cash Race – Spin actively on Ozwin’s Jackpot at minimum £0.20 bet size and you could trigger a random treasure chest containing a cash prize. An in-game tab displays remaining time and prizes. 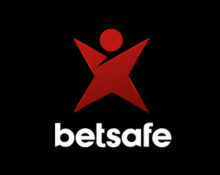 Any awarded prizes will be instantly credited with no wagering requirements after the game is reloaded. The race is open to UK players only. Saturday, 8th September 2018: Bonus Spin O’Clock – Deposit minimum £/€ 30 in a single amount to instantly receive 40 Bonus Spins on a selected slot. WR is 35x FS winnings within three days. Sunday, 9th September 2018: Bonus Spin Bonanza – Deposit min. £/€ 20 to instantly receive 20 Bonus Spins on a selected slot. Play the slot at any bet size and hit the bonus round once to receive another 20 Bonus Spins, credited by 19:00 CET on Monday. WR is 35x FS winnings within 3 days. Monday, 10th September 2018: Bonus Spins Galore – Make a deposit of minimum £/€ 20 and wager a total of £/€ 50 | £/€ 100 on a selected slot to instantly receive 25 | 50 Bonus Spins on the same game. Maximum reward is 75 Bonus Spins per player. WR is 35x FS winnings within seven days. Tuesday, 11th September 2018: Live Casino Bonus – Wager minimum £/€ 50 on Dream Catcher or Lightning Roulette to instantly receive a £/€ 5 bonus. WR is 35x bonus within seven days.